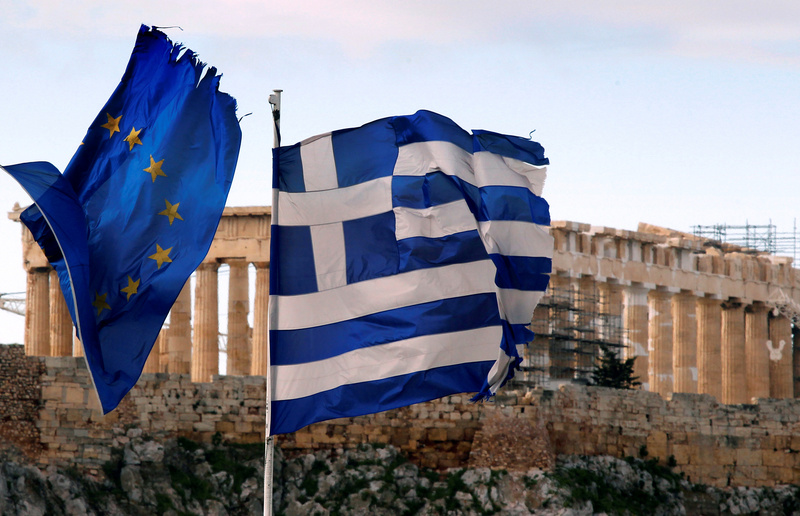 The Parthenon on the Athens Acropolis is seen behind a Greek and an EU flag atop the Greek ministry of finance February 8, 2012. Greece on Aug. 20 completed its third three-year bailout programme, agreed in 2015. The Athens Stock Exchange and Hellenic Bank Association are working on a new corporate governance code, according to three people with knowledge of the matter. The voluntary code will suggest that at least three quarters of the members of a listed company’s board should be classified as independent directors. Shareholders in Ellaktor, Greece’s largest construction company, approved a new board on July 25, following a proxy battle between two large investor groups. Shareholders backed a proposal by Anastassios Kallitsantsis and Dimitrios Kallitsantsis, who hold a 28 percent stake in Ellaktor and had been chairman and vice chairman of the group, to appoint a new nine-member board, including five independent directors. Leonidas Bobolas, who owns 15 percent of Ellaktor shares, had proposed removing both Anastassios Kallitsantsis and Dimitrios Kallitsantsis from the board, and installing two new independent directors. Ellaktor shares have fallen 15 percent since the investor meeting and were trading at 1.65 cents a share at 0743 GMT on Aug. 21.